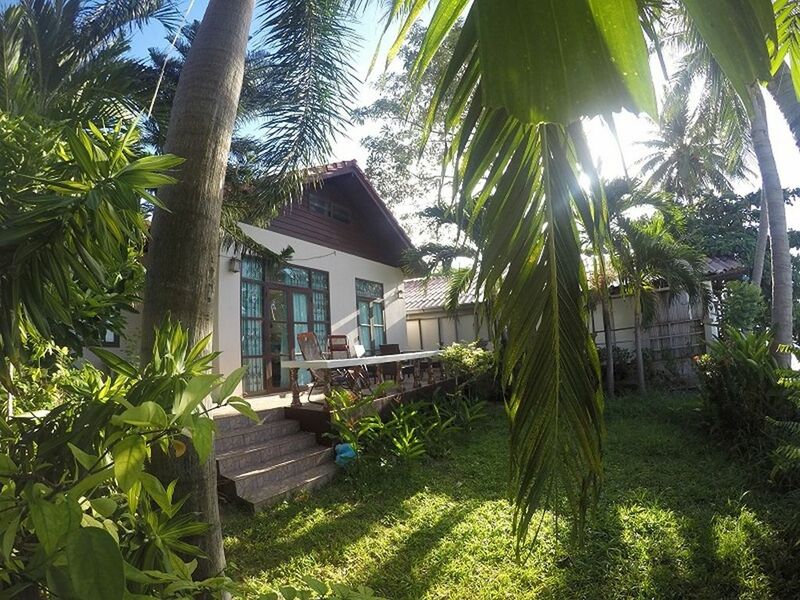 Baan Anuntanaruk is a complex of 6 fully serviced holiday villas in Bangrak beach. Baan Anuntanaruk is located in a secure area with our restaurant Shabu Indy SAMUI and only 2 km distance from Fishermans Village walking street with many restaurants, bars, shopping venues and spas. Airport is 3 km, fresh see food market is 1.8 km, Bank/ATM and small grosery shop 7/11 and Tesco express is only 350 meter away, Chaweng beach, Ark bar and Green Mango Clubs is 5 km distance. The cozy villa offers a living room/lounge with dining and kitchen area, 1 bedrooms with queen size bed, 1 bathroom with hot shower, a front balcony with sea view. Our guests have access to beach and a restaurant/bar that serves Thai/European cuisine. With English/Russian/Thai speaking management on site there is always someone in reach when needed. At Baan Anuntanaruk we take the time to inform, guide and assist each of our guests so they can truly enjoy their holiday in Samui.